Time itself creates advantages and disadvantages in the field of taxation. The timing of the recognition of income and expenses for tax purposes has two main implications: firstly, for the timing of the collection of tax, and secondly, for the question of quantification, i.e., how to ensure that the difference between the timing of the recognition of income or expenses, as opposed to the respective dates on which the amounts are actually received or paid, does not distort the determination of the amount of chargeable income. The time component is a weapon in the confrontation between the opposing motivations of the taxpayers and the tax authorities. In any given fiscal year, taxpayers seek to present a minimal picture of their chargeable income, by "deferring" the recognition of income or "advancing" the recognition of expenses. As opposed to this, the tax authorities adopt the opposite strategy: maximizing taxable "profit" in any given year. 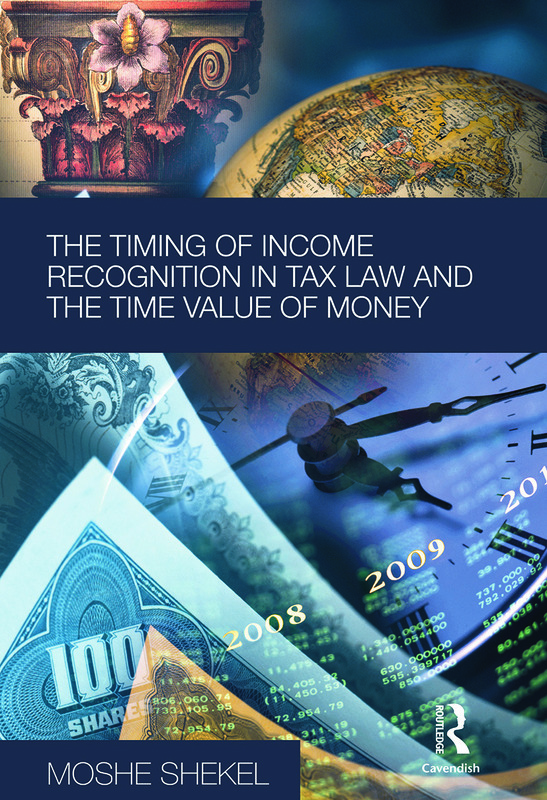 This book critically examines the various approaches that have been adopted in the tax systems in the UK, the US and Israel in relation to the timing of income recognition and expenses for tax purposes. It suggests an innovative tax model that identifies the advantages that arise to the taxpayer as a result of the differences between the timing of the recognition of income and expenses, and the timing of the receipt of the revenue or the payment of a liability, and taxes only that advantage.